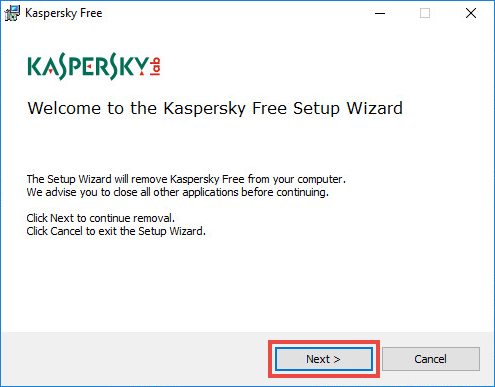 Click Kaspersky Free → Uninstall/Change. If the application settings are password-protected, enter the password and click Continue. If you have forgotten the password, reset it. See this article for instructions. If the application settings are password-protected, enter the password once again and click Next. 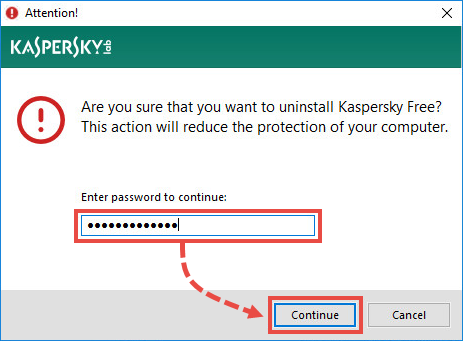 Kaspersky Free will be removed from your computer. 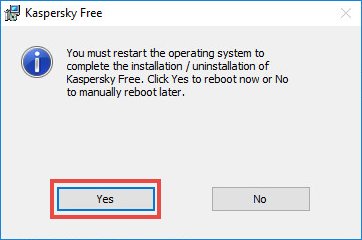 If the removal using the regular Windows tools failed, use the kavremover tool to uninstall the application. See this article for instructions.